Types of 3D printing technology - GLOBAL 3D S.C.
Types of 3D printing technology - what are they designed for and what are the differences? There are several different additive manufacturing technologies that are used in 3D printers, each of them finds and fills its space on the market. The printers themselves differ in terms of construction, mode of operation, level of operating difficulty, and time needed to perform 3D printing - that's why " 3D printer " is a very general expression. 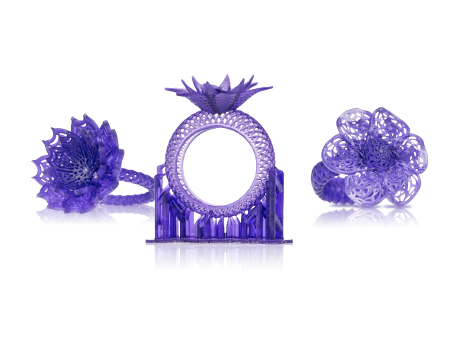 We have prepared a short guide to the most popular spatial printing technologies. FFF (Fused Filament Fabrication) - this is the most-used and by default the least complicated method of extruding a thermoplastic material (heated to a certain temperature) onto the worktable and stacking layers of a specific shape. After applying each layer, the working platform is lowered, the next layer is applied - the process is repeated until the finished element is obtained. The advantage of using this technology is a wide range of materials that can be used (ABS, PLA, PC, PC-ABS, PPSF, flexible materials, with admixtures of wood, carbon or metals, etc. ), the ability to build large components and high resistance to fracture. FFF technology is relatively cheap, both in terms of the purchase of the device and consumables - the devices working in this technology is the most on the market - mainly because it dominates the segment of desktop devices and education. In this technology the material (filament) is wrapped on a spool, which is mounted inside the printer. During printing, the feeder develops material from the reel and feeds it to the extruder. 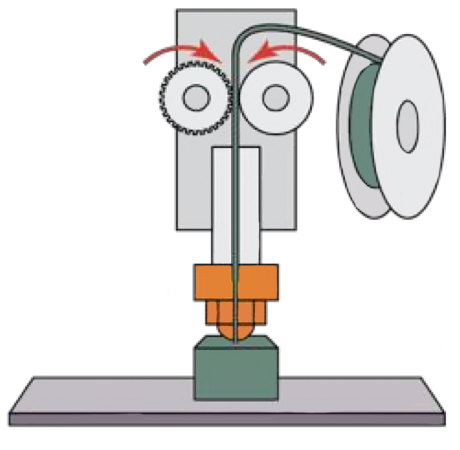 In the extruder, the filament is heated to the melting point and then flows out through the nozzle, leaving the printing layer on the working platform. 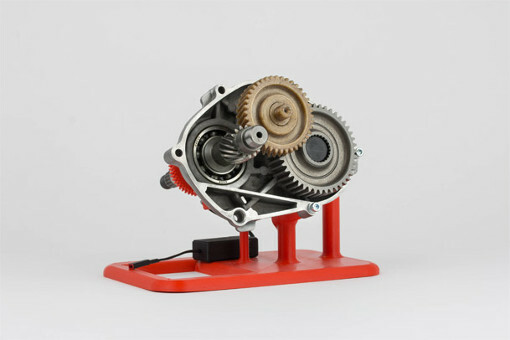 Depending on the printer model - filament spools can also be mounted outside the printer's case or on a completely external stand. DLP (Digital Light Processing) - the printing process consists in hardening photopolymers (photosensitive materials) with the use of projector light, which is mounted under the container with resin. The excellent, very smooth surface and remarkable precision of prints makes this technology work well in medicine, jewelry and any other field that requires high precision. One of its features is that the entire layer is irradiated and therefore hardened at the same time. In contrast to the SLA technology where the layers are selectively cured using a laser - in DLP the projector's light cures the entire layer at once. Printouts created in this technology are characterized by high accuracy of up to several dozen microns and a perfectly smooth external surface, thanks to which they are used in jewelry, dentistry and prosthetics. In resin printers, biomedical resins admitted for contact with body tissues, foundry resins popular in jewelery as well as multicolored (also colorless) for general use can be used. SLA (Stereolitografia) - is one of the oldest methods of rapid prototyping, which involves the polymerization of liquid resin reflected from the mirror by a laser beam. In the container in which the liquid resin is located, the working table is immersed to the depth of the required layer, after which the laser beam harden it moving around the XY axis and outlining the shape of the given object. Then the table is raised by the next layer and the process is repeated. Thanks to this technology, we can get very precise forms with accurate geometry mapping, it is also possible to obtain transparent and thin-walled models. Like any other method, it also has drawbacks, the highest is the high toxicity of the resins used and the need to store them out of the reach of light. You can not combine several colors and materials in one production process. After printing the finished model, it must be cleaned of remains of uncured resin, eg by bath in isopropyl alcohol and remove support elements - lack of skills in this area may result in damage to the printout. After which the finished model should be dried and subjected to UV lamp irradiation. SLS (Selective Laser Sintering) - is a 3D printing technique that involves sintering laser beam. On the work table of the 3D printer, a powdered polymer is sprayed onto which is a laser beam is directed, selectively smelted. The working platform is also lowered and a layer of sintered powder. The entire process takes place in a nitrogen atmosphere material. SLS technology does not need to be used for prototyping but also for other purposes. series production below 1000 pieces. SLS, despite its huge production potential, it belongs to the very high temperatures. PolyJet (Polymer Jetting) - a production process reminiscent of printing with a laser printer. The technology consists in applying thin layers of resin to the working table and then curing them using a UV lamp. 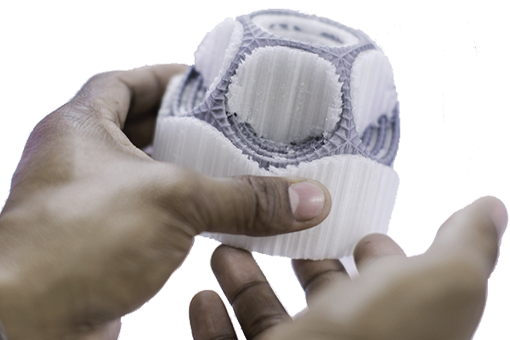 PolyJet enables prints from high stiffness as well as flexible and transparent materials. Models printed in this technology are characterized by high accuracy and an ideally smooth surface, therefore they can be used as eg base models for creating forms silicone. For printing supports, a dedicated gel is used, which after printing is removed manually or using a pressure washer. 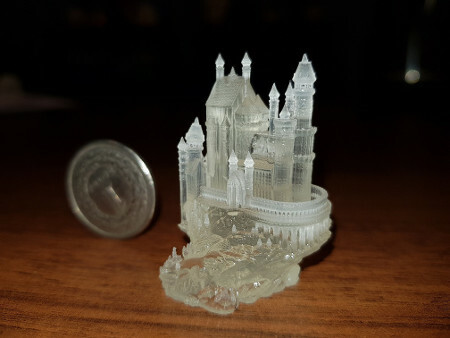 One of the disadvantages of this technology, which is worth mentioning is the relatively low temperature resistance of printed models - 45-90 degrees Celsius (depending on the material used). CJP (ColorJet Printing) - it consists in printing from a colored plaster powder. The gypsum powder is spread on the working platform, then with the help of a printing head, it is sprayed selectively with a binder and colored ink. The powder is combined with each other to form a spatial model which after finishing the printing process should be cleaned and hardened with special chemical preparations. The technologies presented are among the most popular ones. As we know as the technology of 3D printing develops, the printing techniques are being simultaneously developed - new methods are constantly being tested to print even better, faster and even more accurately. New filaments from the Barrus company - Available now.